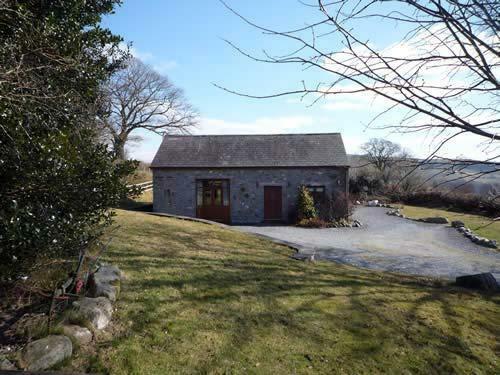 Caer Beili is a 200 year old detached stone barn, located in a private, peaceful and totally secluded position on our 150 acre Welsh hill farm (half a mile away from the farmhouse), with panoramic views of the Cambrian Mountains and Brecon Beacons National Park. 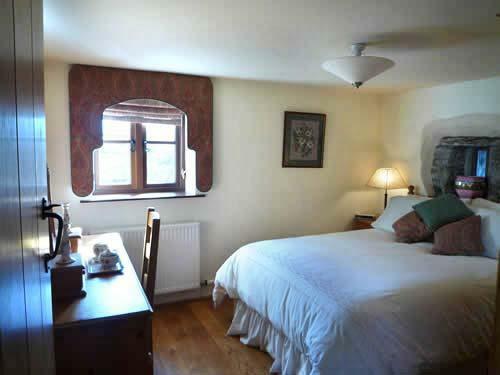 The atmosphere at Caer Beili is one of total comfort and relaxation and every care is taken to ensure our guests stay is of the highest standard at all times. 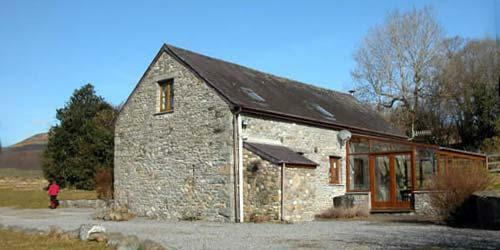 Caer Beili will provide visitors with exceptional quality, and has also won a Rural Wales Award. 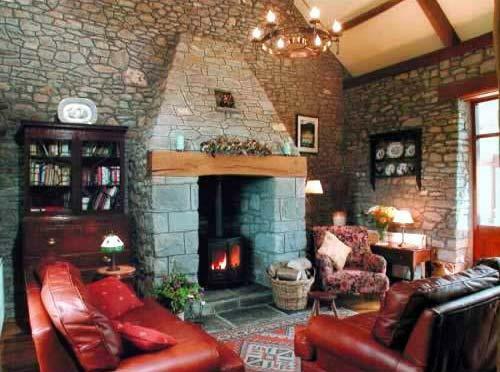 Sitting room: The sitting room is full of character with high sloping ceilings, exposed roof trusses, beams, stone fireplace with woodburner and oak floor. There is a satellite television, video with a small selection of videos, stereo with collection of cds, a good selection of books and information and a payphone. 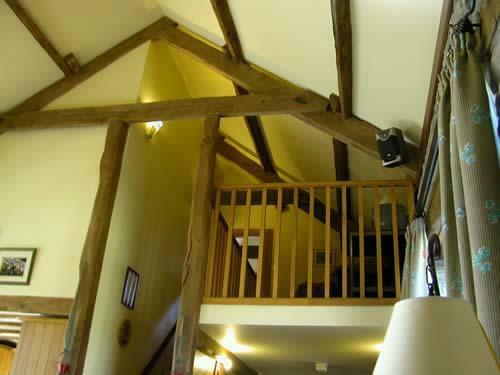 A gallery landing overlooking the sitting room provides an additional seating area. 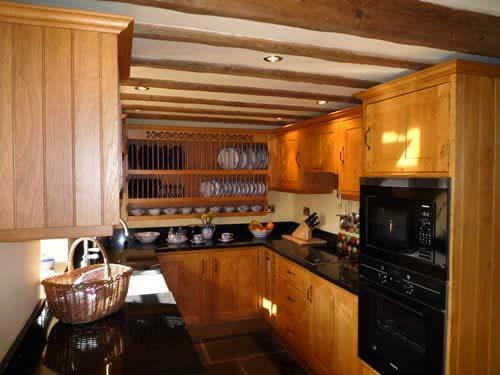 Kitchen: The oak kitchen is fully equipped with dishwasher, washing machine, electric oven and ceramic hob, microwave, fridge/freezer and all crockery and cooking utensils. Cooking will not be a chore at Caer Beili. Conservatory/dining room: Dine in the conservatory and watch the cattle and sheep in the fields nearby or the red kites soaring overhead. 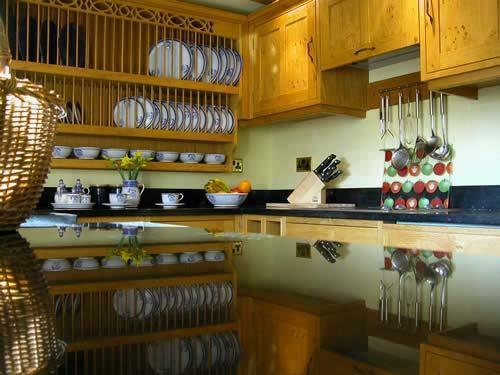 It opens out to an enclosed garden with patio and lawns, garden furniture and barbecue. 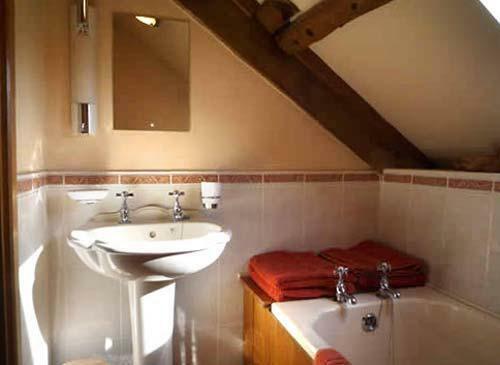 Bedrooms and bathrooms: Double bedroom and adjacent bathroom on the ground floor, double bedroom with en-suite bathroom on the first floor, twin bedroom on the first floor. 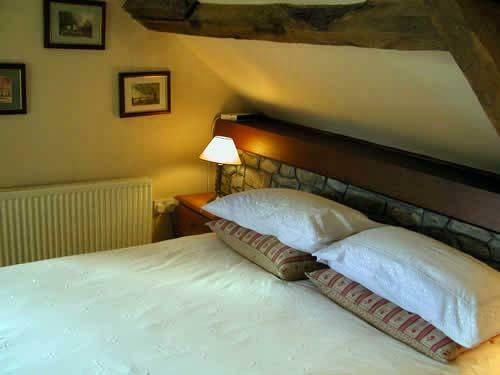 Linen and towels are provided and beds are made up prior to arrival. We are open all year round for full weeks or short breaks. Electricity, oil central heating and logs are provided. A cot, highchair and stairgates are available. Sorry we do not allow pets. Wifi inteaccess is available. 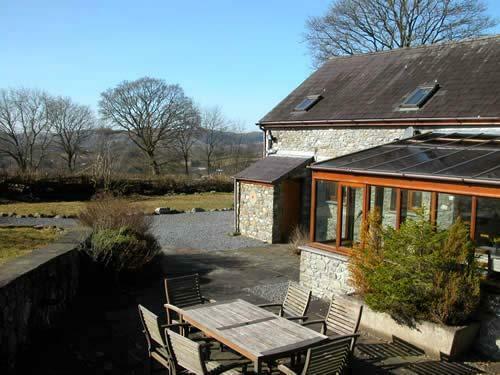 Situated in one of the most beautiful and unspoilt valleys in Wales - the Tywi - many of our guests tell us that they spend more time than they thought just relaxing in Caer Beili, spending quality time together and watching country life from the comfort of a chair. However, for the more adventurous there is plenty to see and do and despite our rural and peaceful location we are very centrally placed, easy to reach and an ideal spot from which to explore Mid, South and West Wales. The quaint village of Cil-y-cwm which has a small friendly pub serving excellent food. The village street was once a drovers' road and the cobbled watercourses which used to be filled with water for cattle to drink can still be seen today. The village church has fifteenth century wall murals and a yew tree which is at least 1, 500 years old. The Methodist Chapel, built in 1740, was the first Methodist Chapel in Carmarthenshire. The whole area, in the lower foothills of the Cambrian Mountains and on the edge of the Brecon Beacons National Park, is outstanding for walkers, bird watchers, photographers, artist and all country lovers. There are gentle strolls or more strenuous hikes from the cottage door including one to a magnificent waterfall. The area is a natural habitat for all kinds of wildlife and flora and it is common to see red kites, kestrels , sparrow hawks and many other birds. There are two RSPB Reserves - Dinas and Gwenffrwd. There are even red squirrels in the area.